The missing conversation from the doughnut shop on the night of Nov. 29, 1989 became the grounds for a so-called “fresh evidence” appeal by Dennis Monaghan and Graham Court. In May 1995, Ontario’s Court of Appeal ordered a new trial for the two men. The case landed in the capable hands of Justice Stephen Glithero, an experienced and respected senior judge. There were stops and starts throughout 1996 as Glithero tried to figure out how to handle several issues of nondisclosure of evidence that had come to his attention. A couple of newly released decisions by the Supreme Court of Canada on related matters of evidence and disclosure also had an impact on the case. Finally, Glithero halted the new trial for Court and Monaghan. On June 30, 1997, he released a stunning decision nearly 20,000 words in length. More than five years after they had been convicted, Glithero announced he was staying the murder charges against Monaghan and Court. The judge concluded it would be impossible for the two men to receive a fair trial because of the deliberately abusive and negligent conduct they’d suffered at the hands of the police and Crown. There was no mistaking where Glithero cast blame. He pointed the finger directly at the police and Crown. “The loss of so many audiotapes, videotapes, notes and reports can only be categorized as involving an unacceptable degree of negligent conduct and indifference on the part of the state representatives charged with the responsibility of maintaining such evidence,” Glithero stated. The words “deliberate” or “deliberately” were used 36 times in the judge’s decision, while the words “abuse” or “abusive” appeared 29 times. “This is not a case of an inadvertent loss of some piece of evidence, through happenstance or made understandable owing to the passage of time,” Glithero wrote. Glithero also had some blistering words for Paul Stunt, the Crown attorney for Halton who led the prosecution of Court and Monaghan during their 1991 trial. 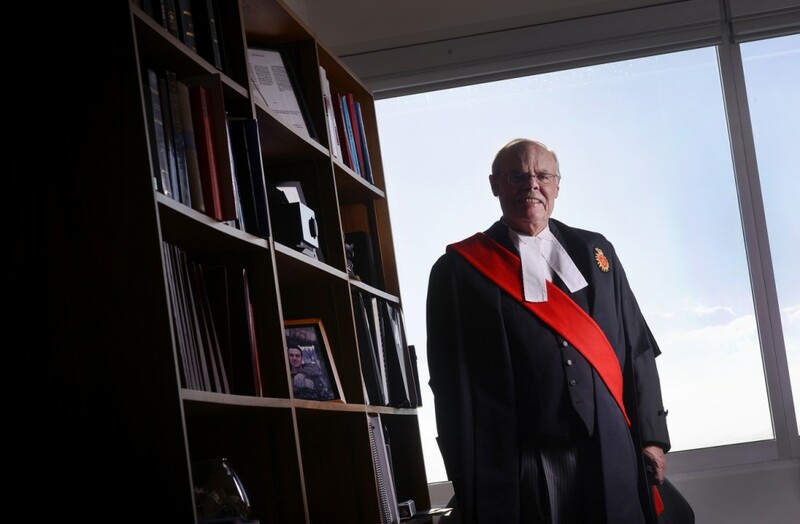 During the appeal process, the province’s Crown law office was asked to look into the missing tape and investigate if and when the Halton Crown attorneys knew the tape was missing. Catherine Cooper of the provincial Crown office called and wrote to Stunt on several occasions in November 1994, asking him to tell her what he knew about the tape. “The only reply from Mr. Stunt was a letter dated Nov. 17, 1994 indicating that he would review his file and get back to Ms. Cooper, and in effect bragging as to the proficiency of the Milton Crown office in obtaining a conviction on such limited evidence,” Glithero wrote. Stunt is now a member of an Oakville law practice. He did not respond to The Spectator’s interview requests made by telephone and email, which included a written list of questions. The judge’s decision highlighted 17 distinct and serious instances where important evidence was withheld from Court and Monaghan’s lawyers. The scope of evidence kept from the two men is both shocking and disturbing. In several cases, the evidence was only revealed to the defence five years after the two men had been convicted. Six of the instances involved audiotapes or videotapes of interviews that had either been lost or gone missing. The springboard to freedom for Monaghan and Court was a missing audiotape of a conversation between Monaghan and informant Aldon Schlosser. According to Monaghan, the tape should have included an adamant denial by him that he had any involvement whatsoever in the killing of Domenic Racco. Less than a month after the doughnut-shop conversation, Hamilton police officers were aware the tape had gone missing and had frantically searched the station looking for it, with no success. In August 1990 — long before the trial started — officer William Harris indicated to Laurie Vechter, one of the assistant Crown attorneys, that a tape of the Nov. 29 doughnut-shop conversation was not transcribed, “although he had listened to its contents and no mention of either homicide was on the tape,” according to the OPP’s investigation. Vechter had passed Harris’s comments on to Court’s lawyer in a letter. Harris could not have listened to the tape because it has never been found and he would later admit to the OPP that he’d never even seen the tape. Harris said recently he can’t recall his conversation with Vechter. Meanwhile, on several occasions before the start of the 1991 trial, Monaghan insisted to his lawyer, Earl Levy, that there must be a tape somewhere with his denial on it. Levy interrogated Harris under oath before the main part of the trial started in 1991 and specifically asked the police officer about the tape. In fact, neither of the police officers had ever seen the tape or even listened to it, based on what they would later tell the OPP investigators. “Although the tape was known to be lost by December 1989, that fact was not admitted until well into the appeal process in 1995,” Glithero ruled. It has been 25 years since the conversation in the Barton Street doughnut shop was purportedly recorded and, to this day, there’s been no proper accounting of what happened to the tape — or whether the conversation was even recorded. In a recent interview, Harris remains adamant that Monaghan made no denial on Nov. 29, 1989. “This bulls— about him denying it in the doughnut shop is crap,” said Harris. Court and Monaghan’s lawyers were not aware that Rankin — one of the prime suspects at the time of Racco’s killing — had been interviewed twice at Collins Bay Institution in 1991 as part of the Court and Monaghan case. Rankin told Halton police Det. Doug McMillan he met Racco at a Holiday Inn on the evening of Dec. 9, 1983, the night Racco was killed, and that he passed on a message to Racco from Domenic Musitano that Racco owed money for some drug deals. Rankin denied he was passed out in the back of the car at the Racco murder scene. More importantly, Rankin said he didn’t even know Court and Monaghan. McMillan’s “Will Say” statement for the Court and Monaghan trial didn’t even mention he had twice interviewed Rankin. A “Will Say” statement is a summary of the evidence a witness will provide in court if called to testify. Glithero blistered the police and the Crown, saying information about the officer’s meeting with one of the central figures in the Racco murder should have been turned over to the defence, especially since the interview was conducted as part of Court and Monaghan’s prosecution. “The only reasonable conclusion available is that the failure to disclose was the result of a recognition that the material would have been useful to the defence and contrary to the Crown theory,” said Glithero. 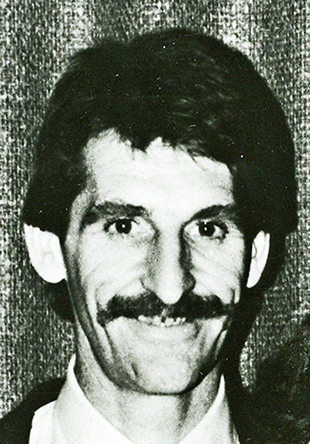 The defence lawyers had not been told Dixon, a reputed Hamilton drug dealer, had been interviewed on four occasions in 1984 as a suspect in the Racco murder and that his alibi for the night of the murder was proven false. Dixon’s statements weren’t included in any of the court briefs provided to the defence. In fact, all references to interviews with Dixon were edited out of the officer’s statements. Dixon was found dead in a Binbrook field in 1987, shot four times in the head and once in the chest. The original tapes of Dixon’s interviews were lost. Lawyers for Court and Monaghan were not told a person called Niagara police in 1984 and confessed to the Racco homicide. Identified by Glithero as “Witness D,” the man’s name was Mark Pemberton, an associate of both Billy Rankin and Dixon. On two consecutive days in January 1984, Pemberton confessed to police he killed Racco. Audiotapes of Pemberton’s interviews were lost and “deprived the defence of the ability to have a jury assess the sincerity of both the initial confession and the subsequent recanting,” Glithero wrote. Defence lawyers only learned of the confession five years after Court and Monaghan were convicted. At Court and Monaghan’s original trial in 1991, their lawyers were unaware that Majeste — the man believed to have walked Racco down the railway track with Rankin — had been interviewed eight times as part of the Racco murder investigation. They didn’t know four of the interviews had either been audiotaped or videotaped and they also weren’t aware Majeste’s alibi for that night had also been proven false. In the Crown’s documents, there were statements from four officers that included detailed information about Majeste’s interviews. The briefs provided to the defence, however, contained no references to Majeste. Glithero ruled the lack of disclosure to be deliberate and to involve active editing. The original tapes from Majeste’s statements were missing. Majeste now lives in a small house guarded by a chain-link fence in a rough part of Winnipeg’s east side. In June, a Spectator reporter knocked on the front door. Majeste answered and identified himself. The reporter said he wanted to speak to him about Racco. “Never heard of him,” said Majeste. “Don’t know him,” he repeated. The reporter then asked him about Rankin. The reporter then said there was new information that had come to light from a long-secret OPP investigative report. “I asked you to leave my property,” Majeste responded. Majeste then closed the door. In July 1984, “Witness E” — a man named John Mallet — provided police with two statements. Mallet was incarcerated at the Barton Street jail with Dixon in 1984. Dixon told Mallet that Racco was not forced into the car the night he was killed, but that he got into the car to negotiate some deals. Dixon also told Mallet two cars were used for the Racco homicide. Dixon then rhymed off the names of the people in each car. Court and Monaghan’s names were not among them. Mallet had also been told by Dixon that Rankin had been bragging about the murder. “It was thought by the police at the time to be a ‘bombshell,’” Glithero wrote. Defence lawyers only learned of Mallet’s statement five years after Court and Monaghan were convicted. “Witness C” was Jackson Taylor, an inmate at Millhaven Institution at the time Rankin was also there. Taylor had provided police with an audiotaped interview, which implicated Rankin and Remo Commisso — a member of the Commisso crime family — in the murder of Racco. The interview occurred in April 1984, one of a number of interviews with Taylor. He said he had been walking with Rankin and Commisso in the exercise yard at Millhaven in November 1983, just weeks before Rankin was released. Taylor overheard a conversation between Rankin and Commisso about the Mafia rivalry and how it had intensified since Racco’s father died. Rankin was offered $10,000 for killing Racco and finalized the arrangement with a handshake. Glithero determined that the Taylor material was relevant and ought to have been disclosed. “Any evidence tending to substantiate Rankin’s agreement to a contract killing is significant,” the judge wrote. Taylor’s audiotape was also lost. All such references were edited out for the Musitano trial and the Court and Monaghan trials. The evidence that Racco would have resisted his assailants wasn’t turned over to Court and Monaghan’s lawyers until five years after the convictions. Dennison, a clerk for Rent-A-Wreck, made two statements to police. Only one was provided to Court and Monaghan’s defence team. In the omitted statement, she described details of a conversation involving a person who could have been Jimmy Dixon talking about how he and others had rented a Rent-A-Wreck vehicle. That rented vehicle had been involved in a shooting in the Hamilton area around Christmastime in 1983, she said. 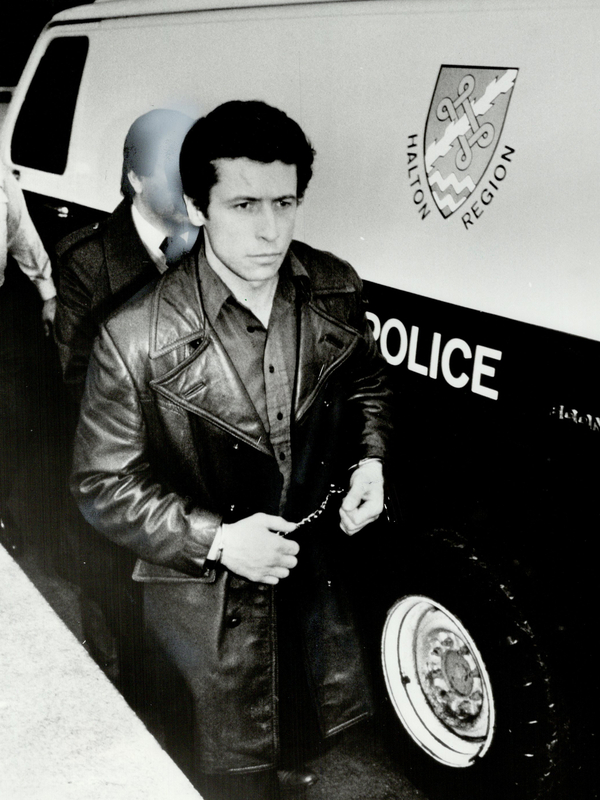 Racco’s murder was Dec. 9, 1983. She told police that based on what she’d heard, the gun used in the shooting would have had fingerprints on it from the man who was talking — likely Dixon — as well as Majeste and the person who actually did the shooting. Partial fingerprints were found on cheques in Racco’s possession when he was murdered. In 1990, Det. Doug McMillan provided the OPP identification unit with fingerprint samples from Court and Monaghan and asked them to be compared to the partial prints on the cheques. The following day, McMillan was advised that Court and Monaghan’s fingerprints did not match the ones on the cheques. At the time of the original trial in 1991, defence counsel for Court and Monaghan was unaware the men’s fingerprints did not match partial impressions on a handgun and ammunition retrieved from Domenic Musitano’s residence and the cheques in Racco’s possession the day he disappeared. This information was never revealed to their lawyers until five years after they were convicted. Yet, as the OPP report indicated, the Crown attorney was aware of the damaging fingerprint results long before the trial started. In a recent interview, Court said they had their fingerprints tested on three occasions, including once during the trial, and they were not a match to fingerprints on bullets, a gun and a cheque. At Court and Monaghan’s trial, the Crown put forward evidence from a bugged conversation between Court and informant Schlosser. Court had told Schlosser that a plane ticket to South America was taken from Racco’s body the night he was murdered. Court said it was ripped up and thrown away. The defence lawyers didn’t know police had checked out Court’s allegation and discovered there was no truth to it. The officer’s “Will Say” statement made no mention of this. The defence lawyers only learned about it five years after Court and Monaghan were convicted. Zomparelli was the manager of a Downsview travel agency and an acquaintance of Racco’s. Zomparelli was interviewed by McMillan on Dec. 22, 1989. He said the night Racco was murdered, Racco had asked Zomparelli to drive him to the Holiday Inn in Oakville. Zomparelli said Racco met with Domenic Musitano in the hotel coffee shop. After the meeting, Zomparelli said Racco was very nervous and told Zomparelli to drive as fast as he could back to Toronto. The last time he saw Racco was at 11 p.m. when he dropped him off at his office. None of Zomparelli’s information was turned over to the defence. Racco received a certified cheque for $8,000, payable to him, on the day he disappeared. 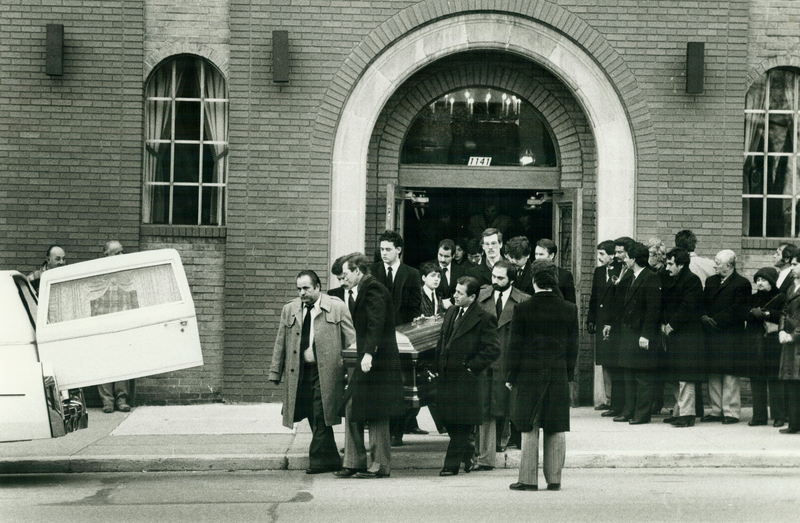 The cheque was later found in the possession of Giuseppe Avignone on Monday, Dec. 12, 1983, two days after Racco’s body was discovered. Avignone had tried to pass the cheque at the office of lawyer Edward Greenspan, but the secretary refused to accept the cheque. Racco was a client of the law firm and she was aware that Racco had been murdered over the weekend. On Jan. 5, 1990, as part of the investigation of Court and Monaghan, McMillan discovered that the cheque had cleared the bank. Police suspected Racco’s uncle had cashed it. This information was not disclosed to defence counsel. Police knew Rankin’s foot size matched the footprints leading to the spot where Racco was murdered and that Monaghan’s foot size was not a match to any of the footprints. McMillan learned about Rankin’s foot size when he interviewed him at Collins Bay shortly before the trial began in 1991. This information was never revealed to the defence counsel. When served with a subpoena on April 12, 1991, Avignone made a statement to McMillan that could have been interpreted as an admission that Avignone was present at Racco’s murder. His admission was not disclosed to the defence. Perreault and Marriott were at a restaurant a month after Racco was killed and Court, Monaghan and Domenic Musitano were seated together nearby. Perreault’s statement was not passed on to the defence until after Court and Monaghan’s trial in 1991. Even then, the statement had been edited to indicate the only part Perreault couldn’t hear was about the sum of money. The intent was obvious — if it hadn’t been edited, Perreault’s statement that he couldn’t hear the conversation would have nullified his partner’s statement as well. Morrison was a resident of 1333 Bloor St. in Mississauga — the building where Racco lived with his girlfriend. Morrison would later contact police and tell them he had seen Rankin and Avignone in a vehicle parked in the lot at the apartment building on the night of Racco’s murder. Rankin admitted to McMillan in 1991 that he had been parked at Racco’s building that night, but that information hadn’t been passed on to the defence. The Crown cross-examined Morrison about the accuracy of what he saw and attacked his credibility even though the Crown knew Rankin had already admitted being there. “To do so without having disclosed to the defence the evidence of Rankin’s admissions was highly improper,” Glithero wrote. After much deliberation, Glithero declined to be interviewed for this piece. “My decision is based on a long-standing belief that a judge should say what he has to say in his reasons for judgment, a public document, which is open to appellate review if an aggrieved party is so inclined,” Glithero stated. “That is a better system than one where a judge supplements what he had to say, or perhaps meant to say, in an interview, which cannot be challenged, but rather only answered, if at all, by counter interviews by the other side. “I had lots to say in my judgment,” he added.